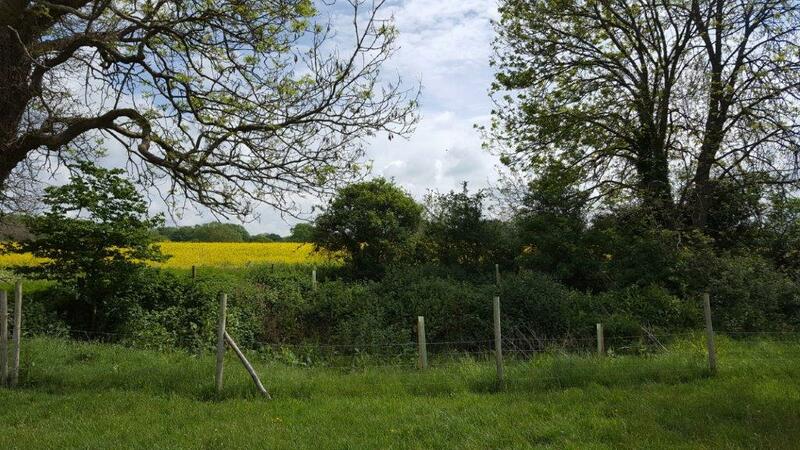 Sussex Wildlife Trust works with Wakehurst Place (Kew) and the Sussex Black Poplar Working Group to conserve the native black poplar tree (ssp betulifolia). To help to prevent it from becoming extinct, the partnership has gathered cuttings from the 38 remaining mature black poplar trees in Sussex. These are distributed among landowners who can provide wet wet woodland sites, the natural habitat of the black poplar. You can download the Trust's free Sussex Black Poplar leaflet here, or contact Fran Southgate to find out more. Maves is fortunate both in suitable potential habitat, and in landowners willing to give space for these trees. Male and female trees of a variety of clones have been planted here: BP24 Birdham, BP4 Pagham, BP6 Sheffield BF, BP8 Isfield F, BP7 Isfield F12, BP111 Forest Row, BP33 Bognor Regis M8, BP30 Robertsbridge F127. 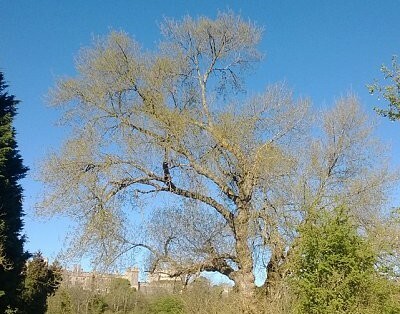 Our planting sites are illustrated on this page; also, right, a lovely black poplar with Arundel Castle in the background (photo: Sussex Biodiversity Partnership).